"Best cost and performance benefits for your organization"
Whether you're planning your cloud migration strategy or already in the cloud, making accurate cloud decisions requires a deep analytical approach. 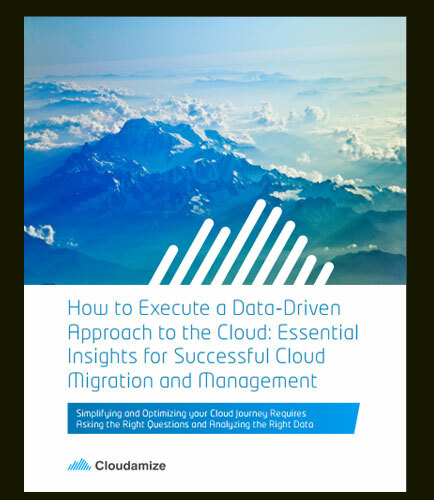 Making the right cloud decisions on an ongoing basis to consistently achieve optimal performance at the lowest cost isn’t easy - or even possible - without having highly precise analytics to guide you, and making the wrong decisions can have disastrous consequences. This paper discusses how to identify which cloud provider will provide the best cost and performance benefits for your organization and helps to determine which applications to move to the cloud vs. keep on-premises.